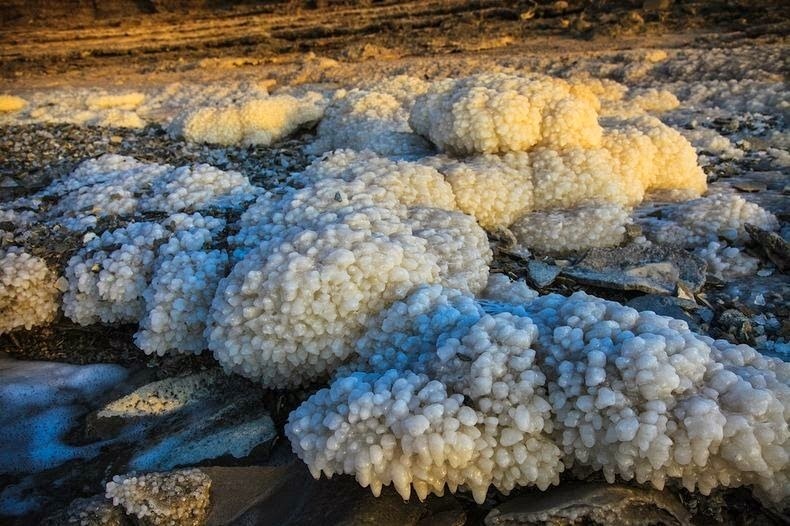 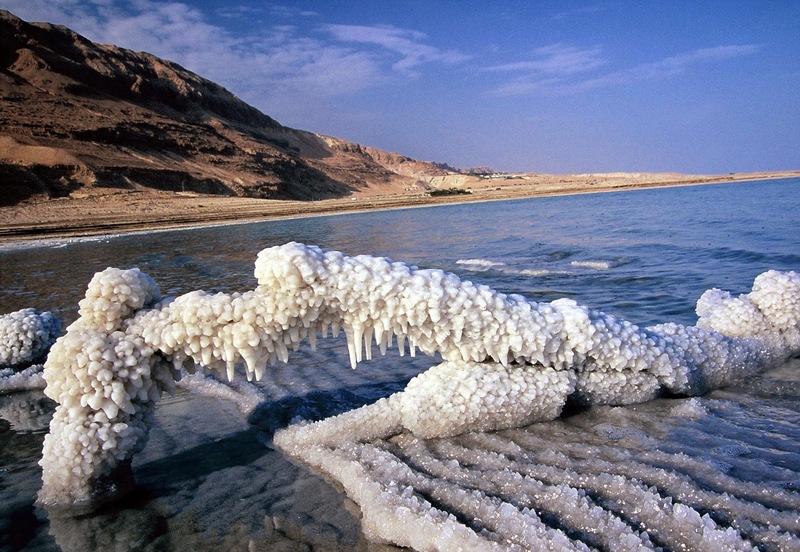 The Dead Sea is also known as the Sea of Salt. 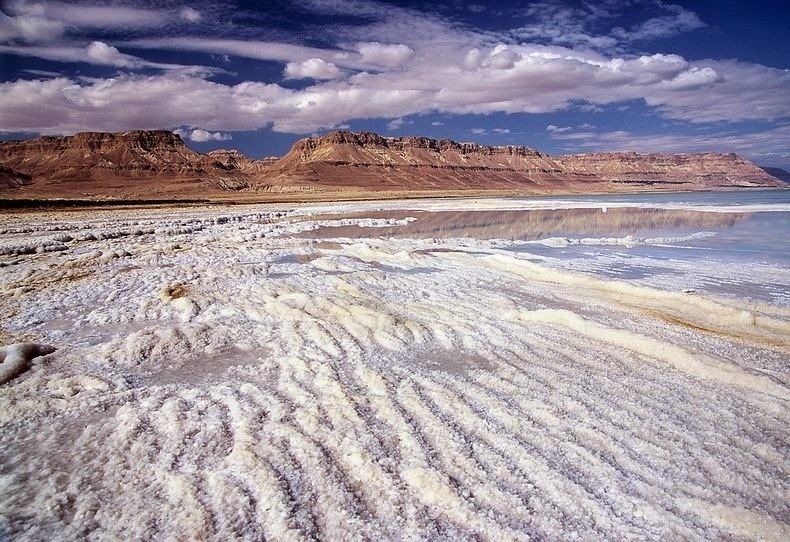 This massive salt lake is spread between Israel and the West Bank to the west and Jordan on the east. 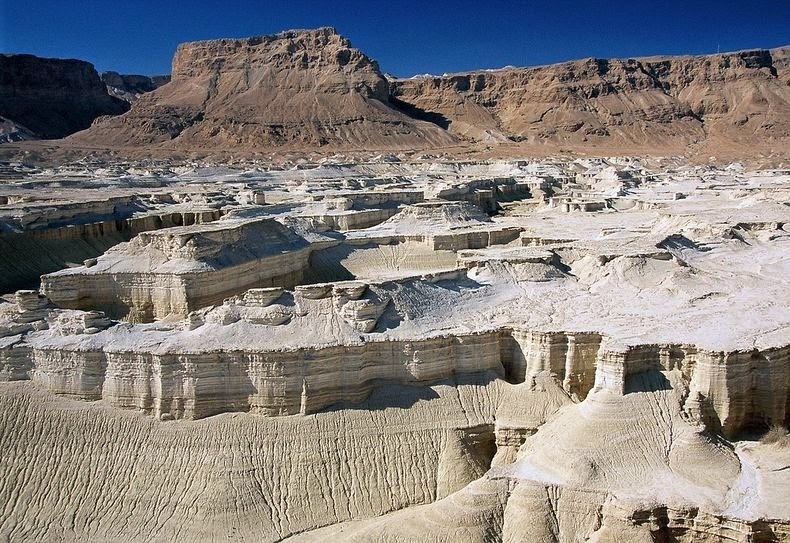 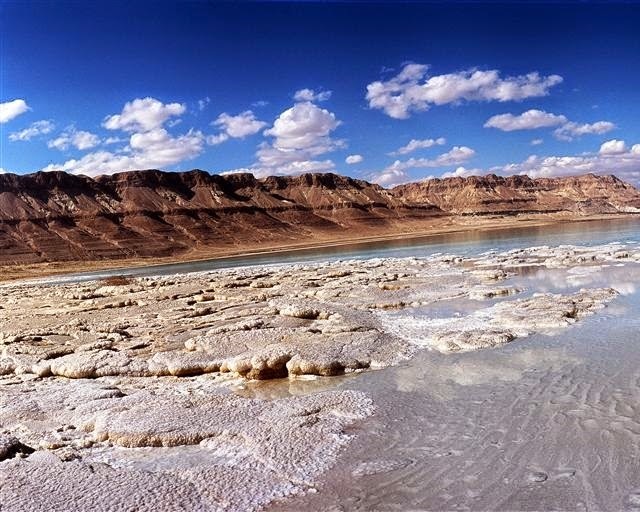 The Dead Sea is 1,385 feet below sea level. 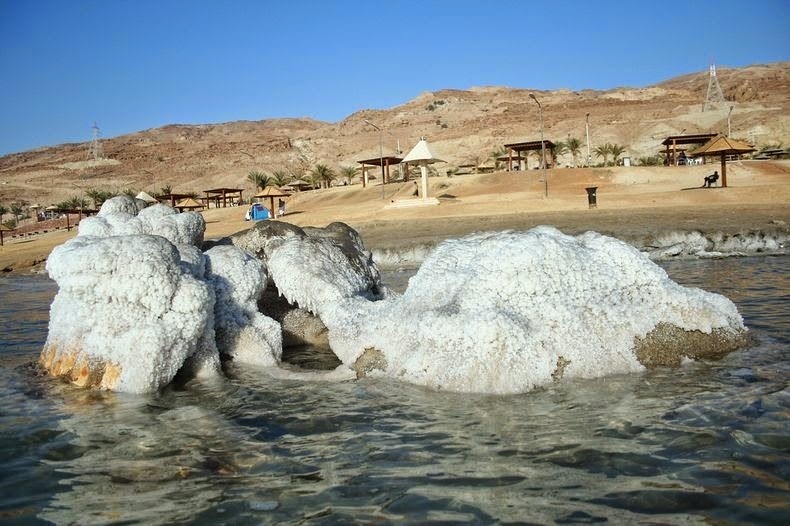 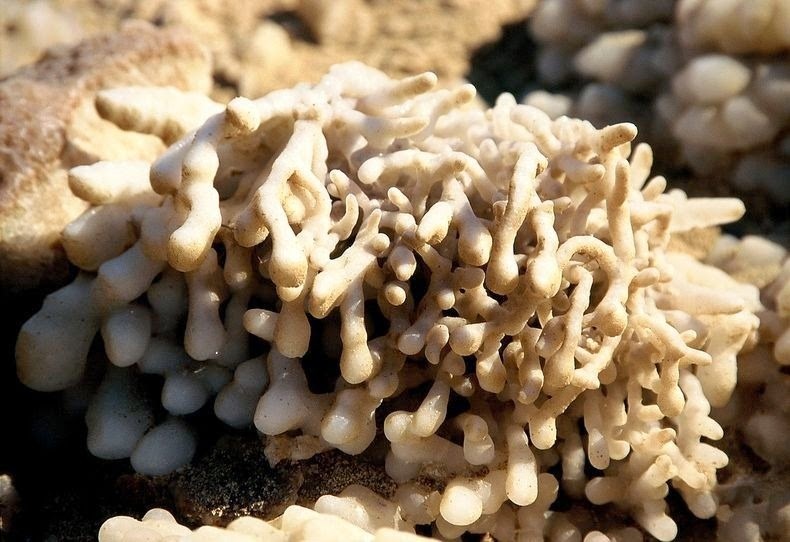 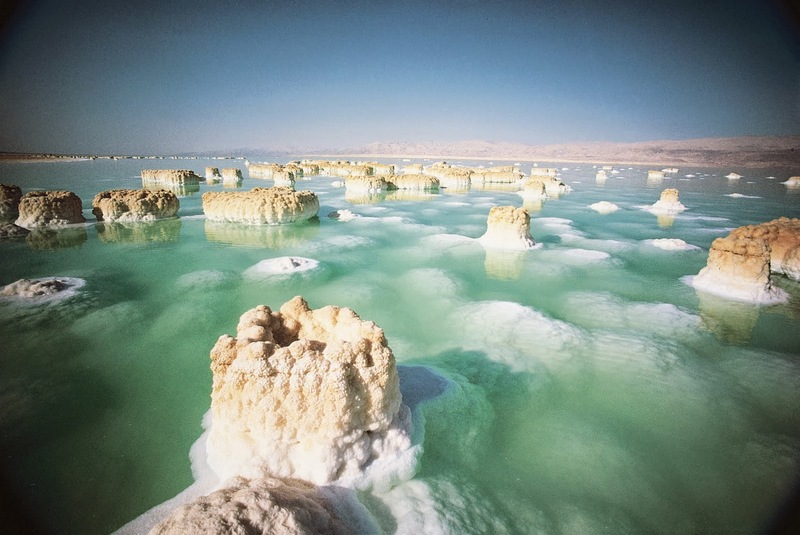 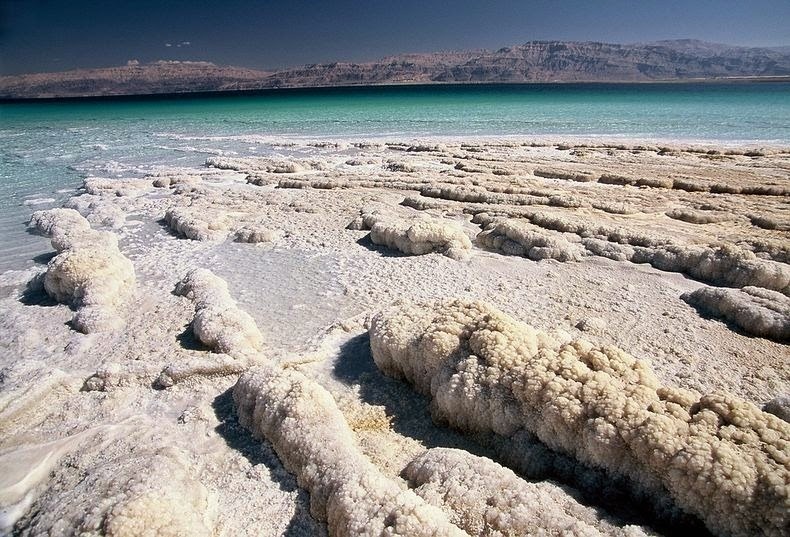 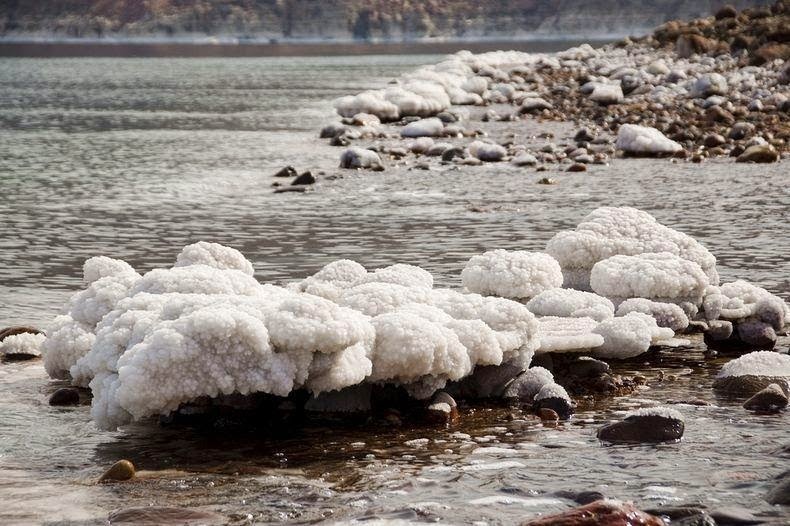 Dead Sea has a salinity level of of 33.7%, which is 8.6 times saltier than the ocean. 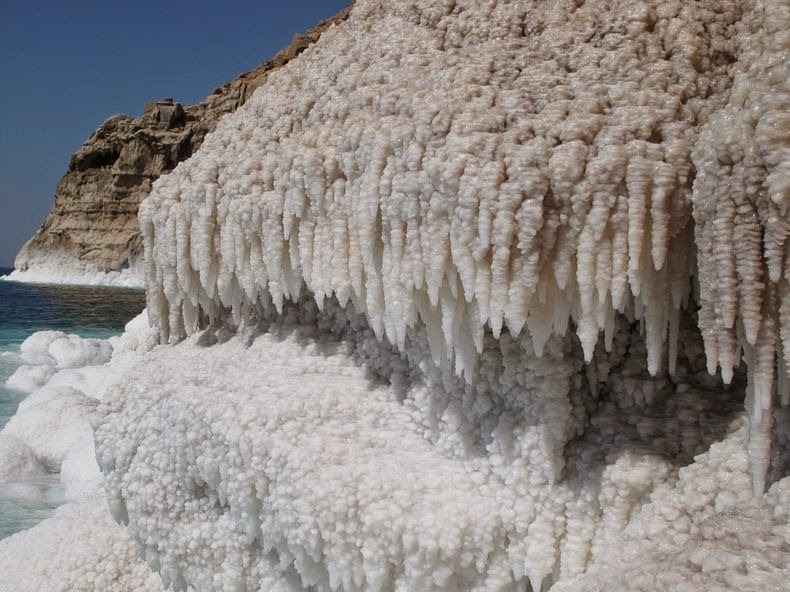 The Dead Sea water contains more than 35 different types of minerals including magnesium, calcium, potassium, bromine, sulfur, and iodine. 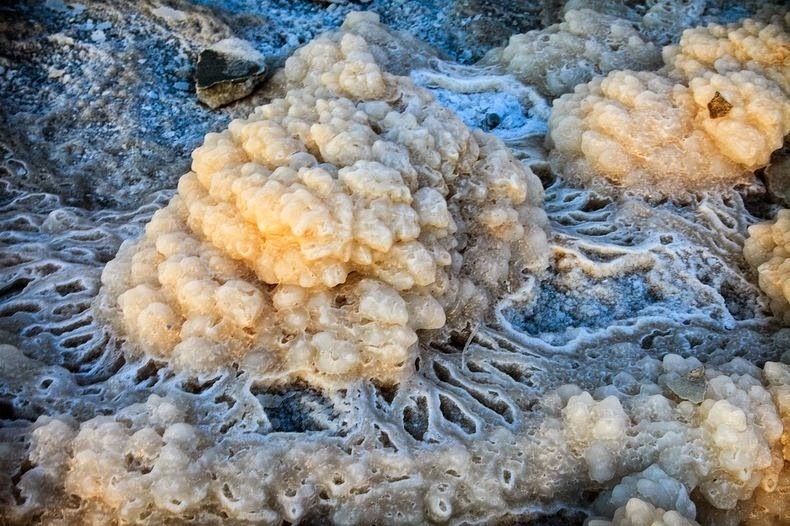 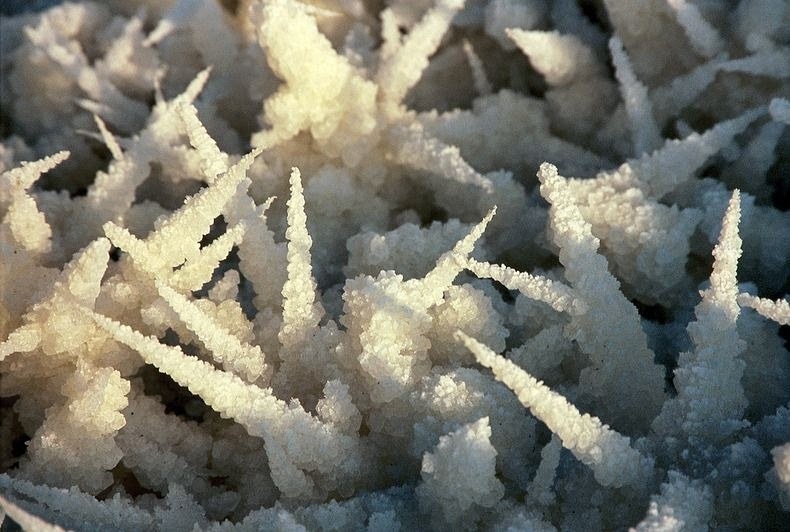 The odd chemistry results in the appearance of some striking, but transient, salt crystal formations. 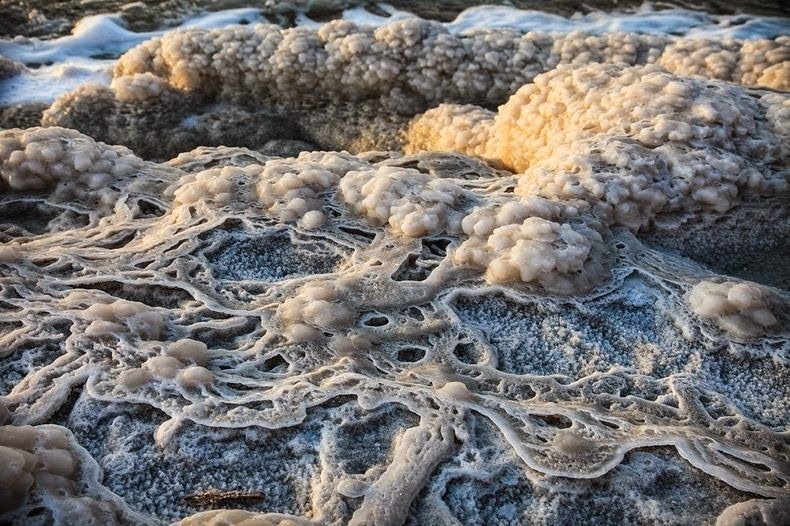 In shallow lagoons at periodic intervals, these formations are natural works of art: billions of charged atoms in intricate geometrical formations shaped by nature into unique works of crystalline art.